PWO/Glendora in January 1999, PWO/Brea in July of 2004, PWO/Rancho Cucamonga in June of 2006, PWO/Pasadena in July of 2006, and our 3 newest locations; PWO/Burbank in July of 2014, PWO/Alhambra in November of 2014 and PWO/Monrovia in July of 2016. Plumbing Wholesale Outlet has expanded its service area to cover the entire area of the San Gabriel Valley, East San Fernando Valley, Inland Empire and Northern Orange County. PWO provides our customers with the highest level of service possible. Our concept is to offer Full/Self Service wholesale plumbing supplies for contractors, municipalities, schools, etc. in the business of installation and repair of commercial and residential plumbing. In today's market, contractors must be provided with customer service to its' fullest extent, being there when you need plumbing supplies 7 days a week, 24 hours a day, having the product in stock and delivering when it is needed. As well as, providing technical expertise, up-to-date training and plenty of literature and spec sheets to assist you. We will meet all your plumbing supply needs in the most efficient, quickest way possible. We invite you to visit any of stores to see how we can best work with you and your company. ASA - American Supply Association - A National Organization serving the Plumbing, Heating, Cooling, and Piping (PHCP) and Industrial PVF industries since 1969. 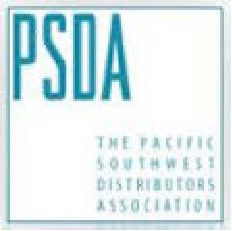 PWDA - Pacific Western Distributors Association - A Regional Organization (Western U.S.) dedicated to the building of vendor relationships, education and coping with local issues within the Plumbing Wholesale Distribution Industry. WIT & Co. - Established in 1974, it is the oldest member-owned buying group in the industry. Independent wholesale distributors committed to growth - and to each other.